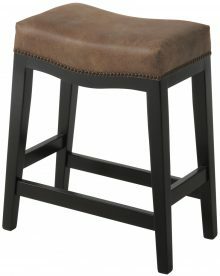 No home bar is complete without a set of stylish barstools to make you and your guests feel right at home. 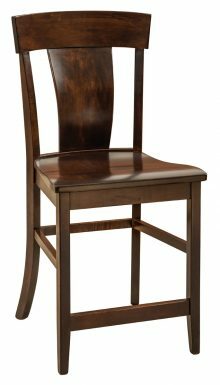 Our large assortment of expertly handcrafted solid wood barstools and chairs will meet your needs from a comfort, aesthetic and durability standpoint. Choose from more than 100 models in various shapes, sizes and styles. No matter if you want stools with or without arms, backs or cushions, the ideal furniture piece for your home is waiting for you right now! 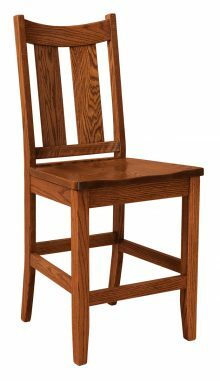 PLEASE NOTE THAT ALMOST ALL CHAIRS HAVE A MATCHING BARSTOOL OR BAR CHAIR. PLEASE ASK US! The interior decorations in your home say a lot about you as a person, as does the furniture you choose to buy. Only when these two elements are in complete harmony will your quest for the perfect décor come to fruition. Of course, everyone is looking for something different, and we all want that statement piece that speaks to our souls. Luckily, AmishOutletStore.com specializes in unique items to make everyone happy. 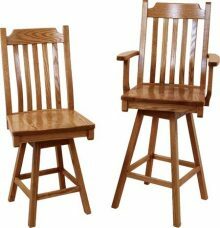 The Amish barstools, for instance, come in a variety of sizes, styles and designs. 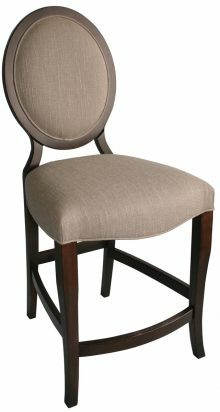 There’s the traditional backless barstool, the tall or short stationary bar chairs with backs, and even the tall or short swivel bar chairs with backs. 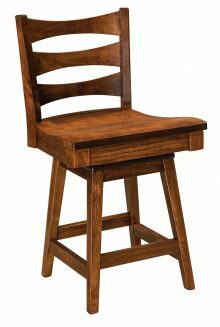 Despite having only five style options to choose from, there is a plethora of Amish-made barstools available to you through our online portal. We have intricate designs to fit into a fancy bar’s décor, and we have plain and simple, clean-cut creations to best suit the breakfast bar in your kitchen. 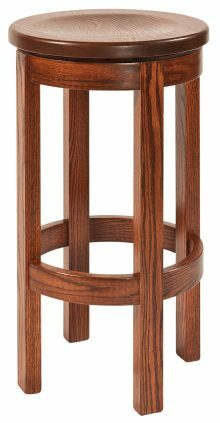 From subtle curves and natural flair to the more extraordinary and complex designs, we have the perfect barstool to fit your décor right here. Family heirlooms come in all shapes and sizes, and there’s absolutely no reason why your new Amish-made barstool shouldn’t be yours. They are well-crafted and designed to last for generations, as long as they are given the proper care and attention they deserve. 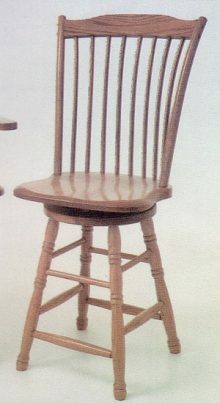 Maintaining your Amish barstool on a regular basis is the best way to guarantee its future use. Caring for hardwood furniture is as simple as dusting and cleaning it on a regular basis and protecting it from the elements. When dusting your handcrafted wooden furniture, it’s best to avoid wood polishes, as they can create a harmful buildup of chemicals on the natural wood. Also steer clear of feather dusters, as they have been known to cause scratches and damages to the finish. Instead, opt for damp dusting with a microfiber towel, cotton cloth or lamb’s wool. And always remember to dry your wood completely when you’re finished cleaning it. Protecting your hardwood furniture from the natural elements is just as important as making sure to keep it clean. Extreme heat, humidity and direct sunlight can all cause damage to the natural luster of the wood, creating discoloration and slight warping over time, so keeping it in a temperature-controlled and dry area is your best bet for maintaining its natural beauty and shine. 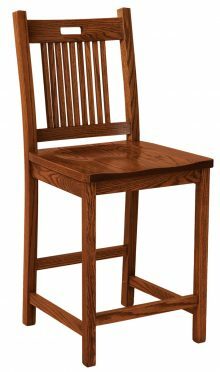 As long as you take care of your hardwood Amish barstools, you can be sure that they will take care of you. Our expert Amish craftsmen have been taught since childhood that a piece of furniture is for keeps. 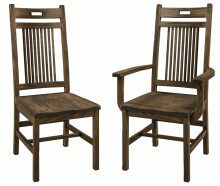 They believe in passing their family furniture on through future generations, which is why every piece of handcrafted, Amish-made furniture that leaves our AmishOutletStore.com inventory, whether in-stock or custom made, is built with skilled hands using only the highest-quality hardwoods to last through generations rather than just a few years. AmishOutletStore.com is not like any of those faceless, impersonal online stores you’ve probably dealt with in the past. We’re a small-town company located in Smithville, OH that believes in treating people with courtesy and respect. You’ll have access to live customer service representatives who will be happy to help you with everything from product selection and customization to ordering and shipping. Here at AmishOutletStore.com, we don’t believe in selling cookie-cutter furniture. You can individualize your furniture to suit your personal preferences. 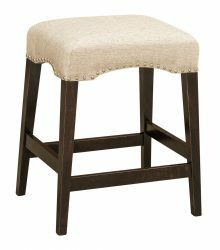 Use the handy and fun online design tool on every product page to customize your barstools to your liking. Choose from a wide range of hardwoods such as Oak, Cherry, Maple and Rustic Cherry, as well as various stain and fabric options. Then, let our capable Amish furniture-makers go to work to create your custom-tailored barstool masterpiece. There’s no reason to ever buy cheap or poorly made furniture again. 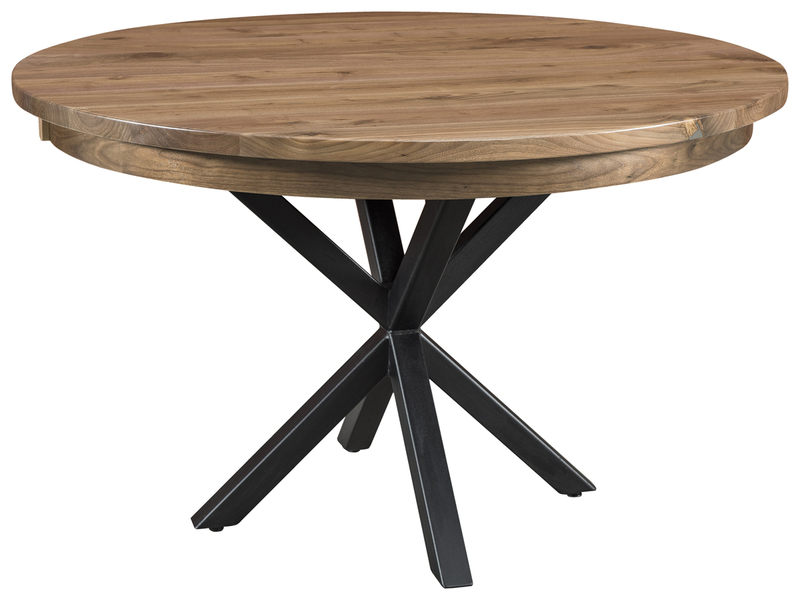 Now that you know about AmishOutletStore.com, you have direct access to the best-made furniture at unbelievably low prices. Order today to take advantage of sales up to 33% off of our regular retail prices. Make a large or bulk order and pay with a personal check and you can enjoy even more discounts. 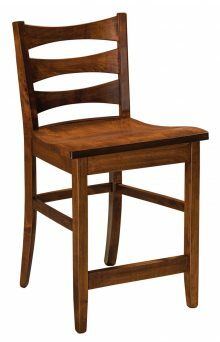 Check out your options and order the perfect Amish barstools to complete your game room, breakfast bar or high top table today. Use the convenient online ordering tool to customize your order based on your height, stain and design preferences. Get the convenience of shopping from home with the customer service of shopping in stores.